It’s spring in the United States and our stateside arm of Women’s Empowerment is ready for our second busiest season! As the trees blossom and the days extend, open air markets and craft shows reflect the excitement of spring and the new merchandise from our Ugandan team. With successful sales and an expanded production pipeline coming to fruition in 2017, we are currently focusing on quality improvements and community organization among our women and their families. Our goals in 2018 include seeing the completion of the women's training warehouse, establishing a base of physical operations in Pittsburgh, Pennsylvania, and growing our online sales platform with the new website. Traditionally, our Women Empowerment Program focuses heavily on the Mother’s Day holiday as an avenue to inspire individuals and organizations to invest in our programming. Mother’s Day is not only a time to praise and thank our own mothers for their presence in our lives, but to honor the Ugandan mothers who passionately participate in the betterment of their families and communities. To that end, our stateside program will be invested heavily in sales, outreach, and networking over the Mother’s Day weekend to spread the word concerning how God is shaping our mothers in Africa. Sunday, May 13: 24-hour Mother’s Day Online Sale! For exclusive sale items, spring colors, and more, check out our updated online store at www.empowerawoman.com All day Sunday, May 13, join our 24-hour Mother’s Day Online Sale with fashionable, online only styles and releases. To celebrate your special mother and our special Ugandan Jajas (grandmas), all online purchases will receive a complimentary gift with your mailed order. Are you called to serve with our Women’s Empowerment Program? Want to learn more about our work with the women of Uganda and Kenya, or volunteer with our team? Reach out to Jenna Norton, the U.S. Sales Director, at Jenna@empowerachild.org. 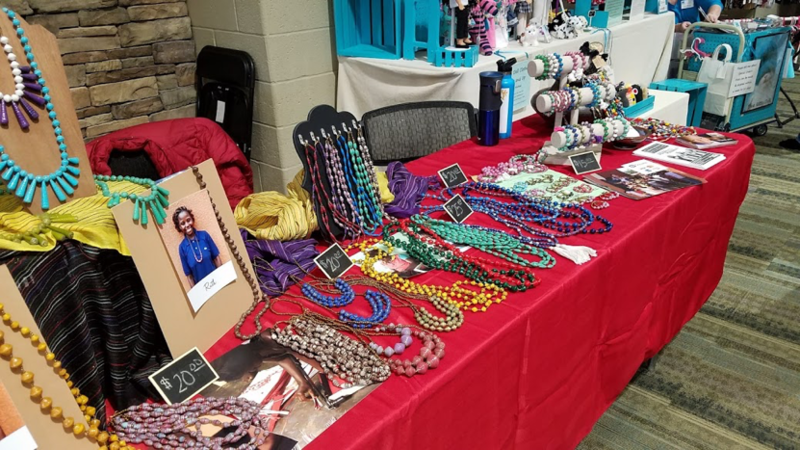 You can assist with neighborhood sales, Mother’s Day promotions, high school events, and providing our Ugandan mothers with the financial capacity to start small businesses. Thank you for the continued support of our women, our mothers, and our communities this Mother’s Day!